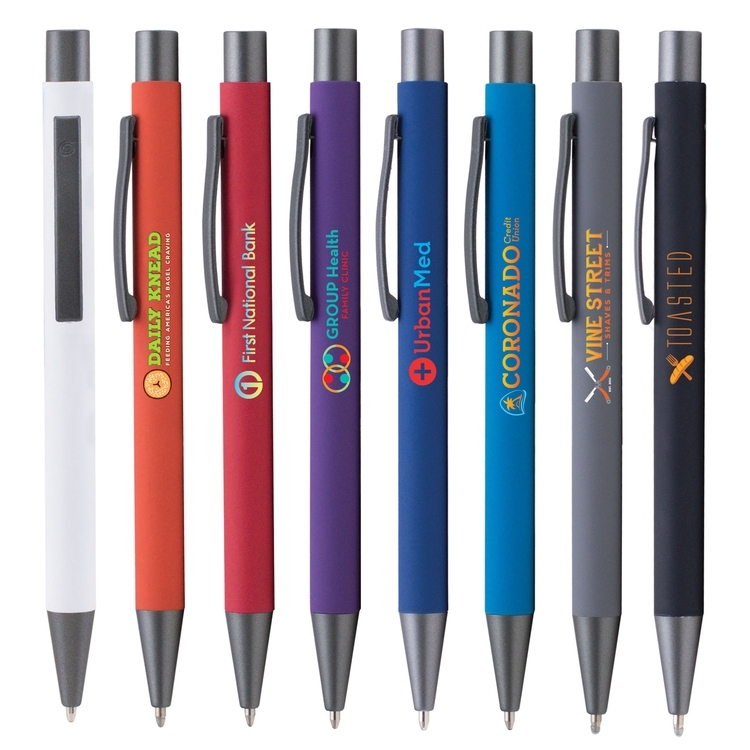 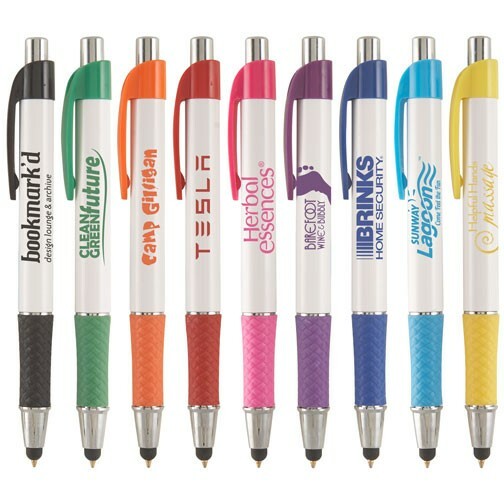 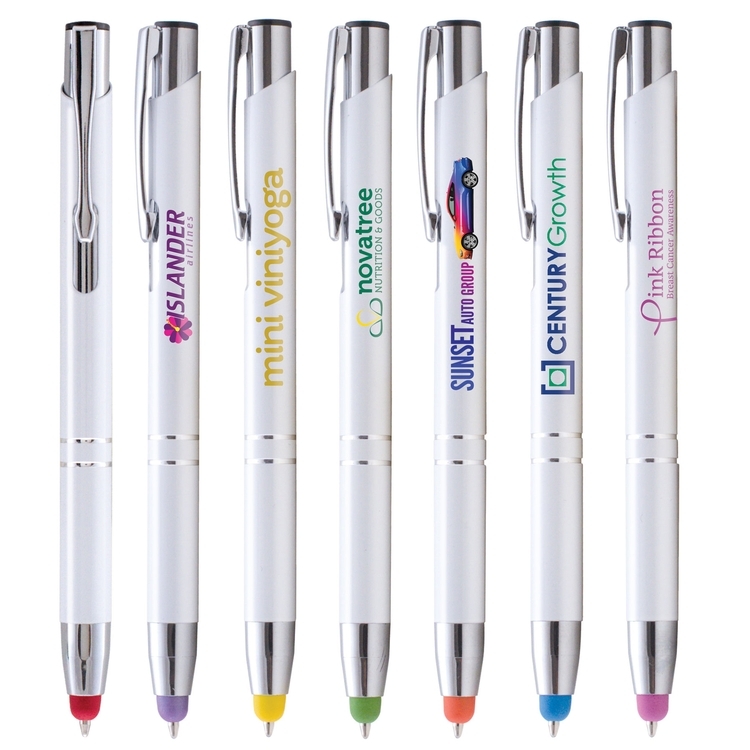 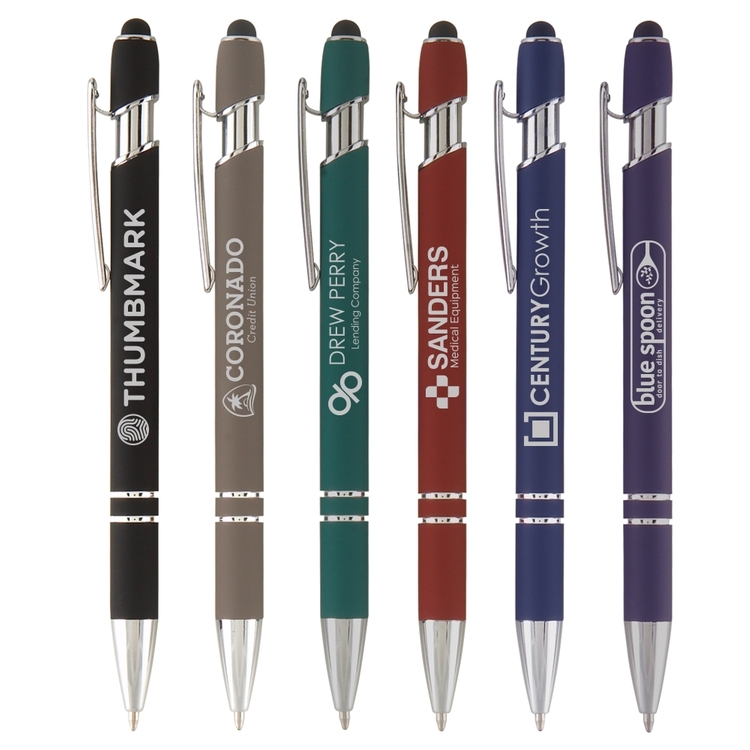 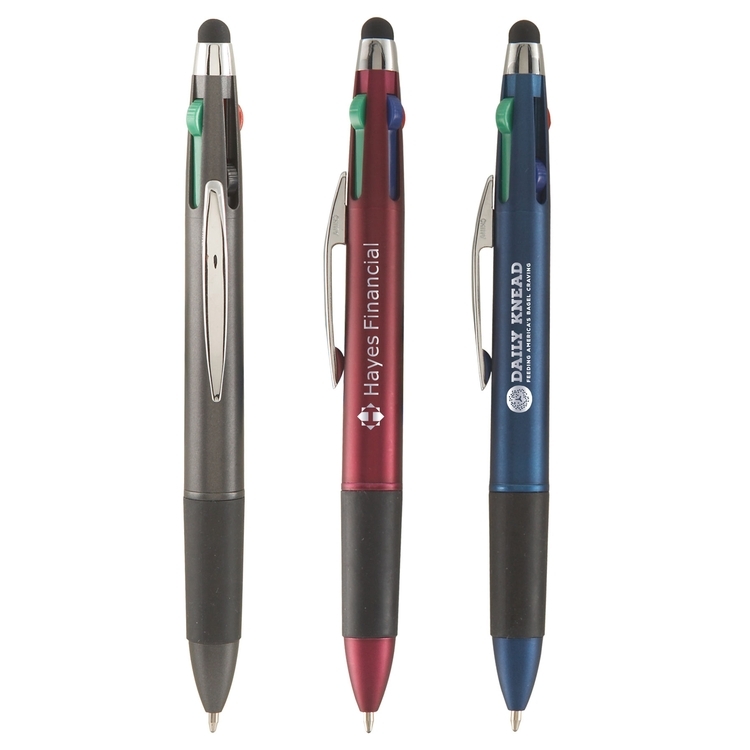 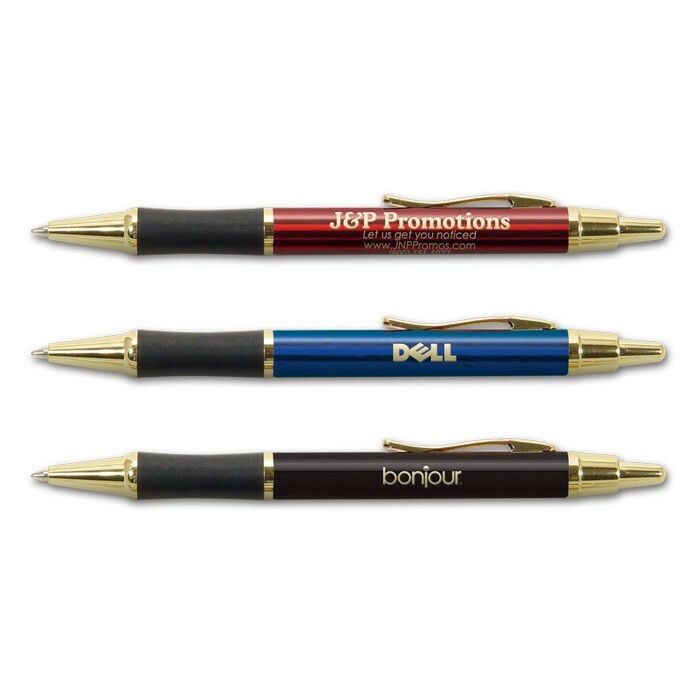 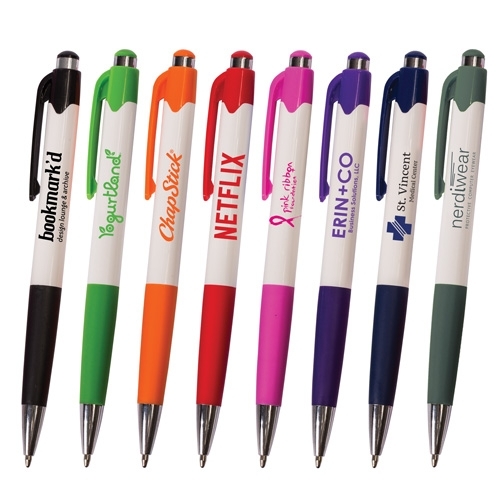 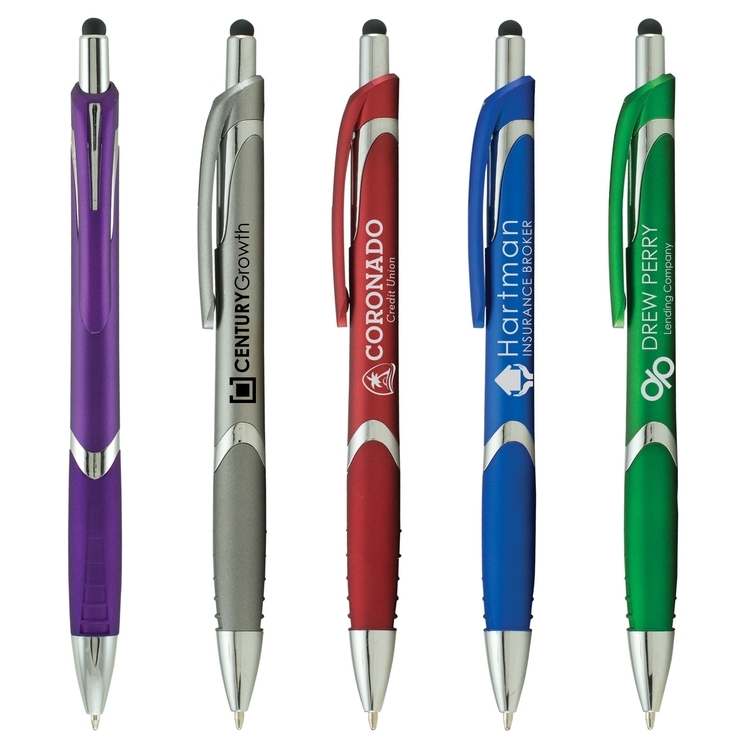 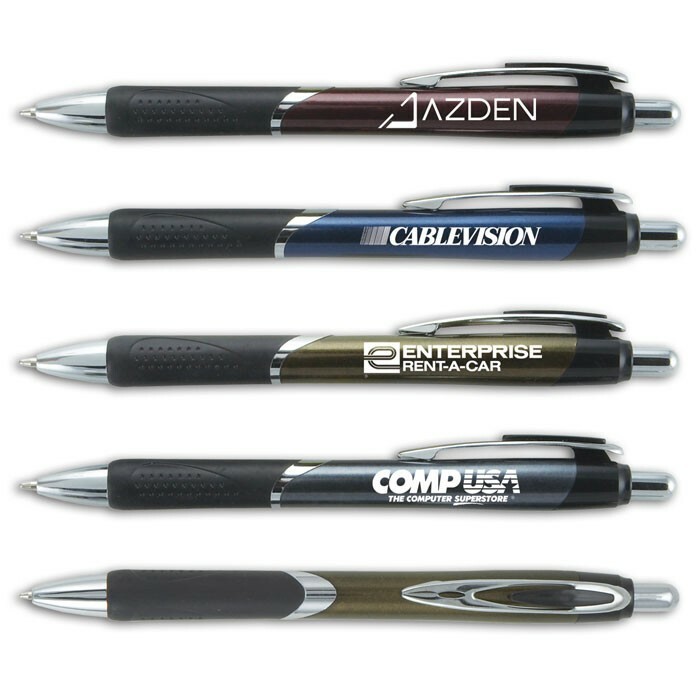 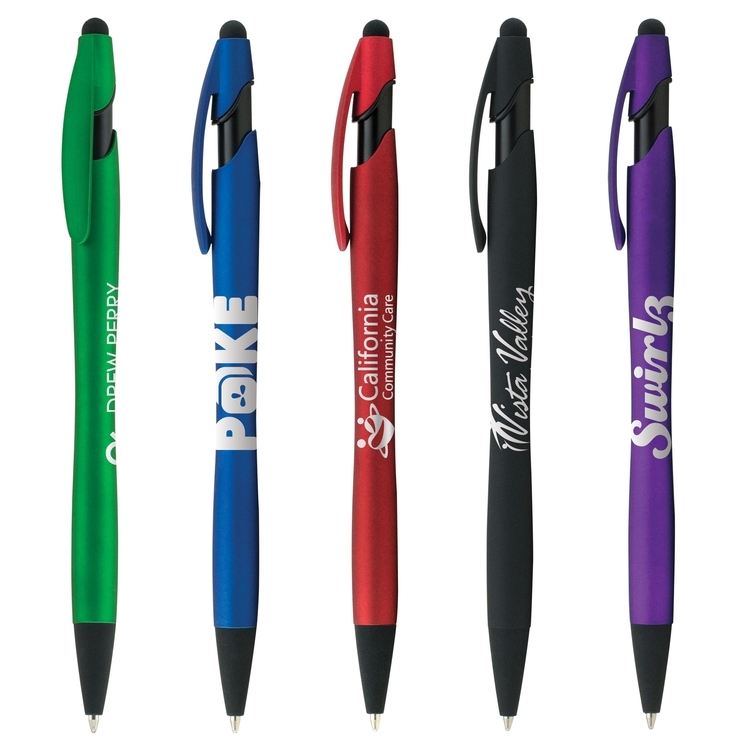 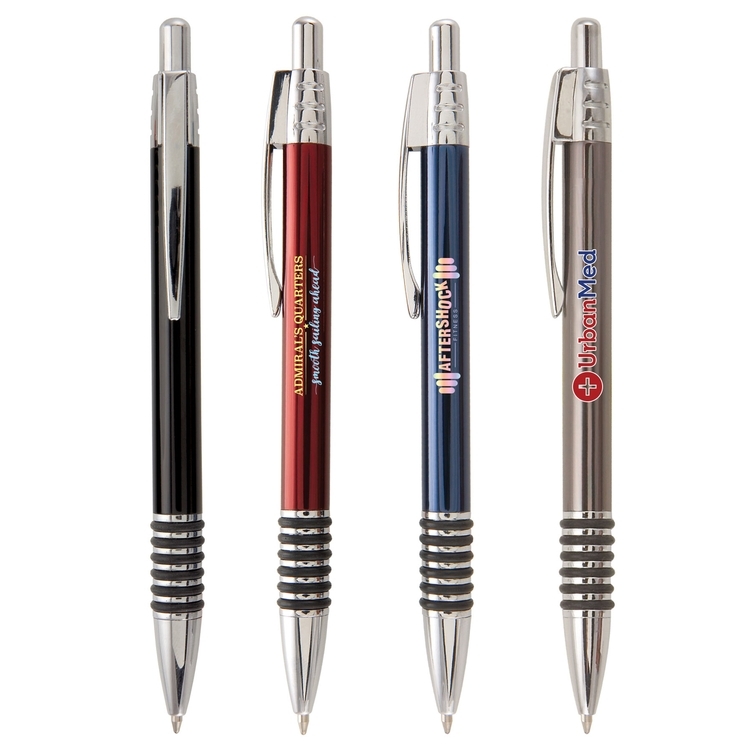 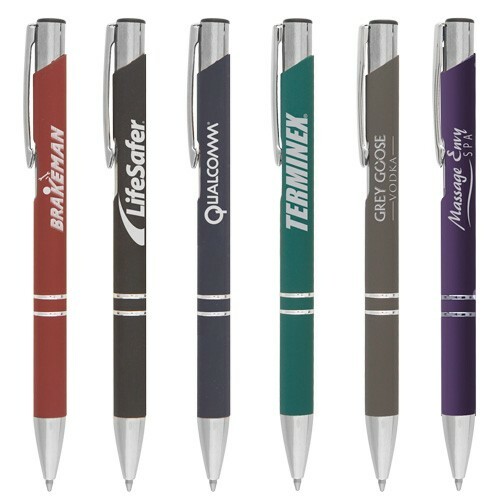 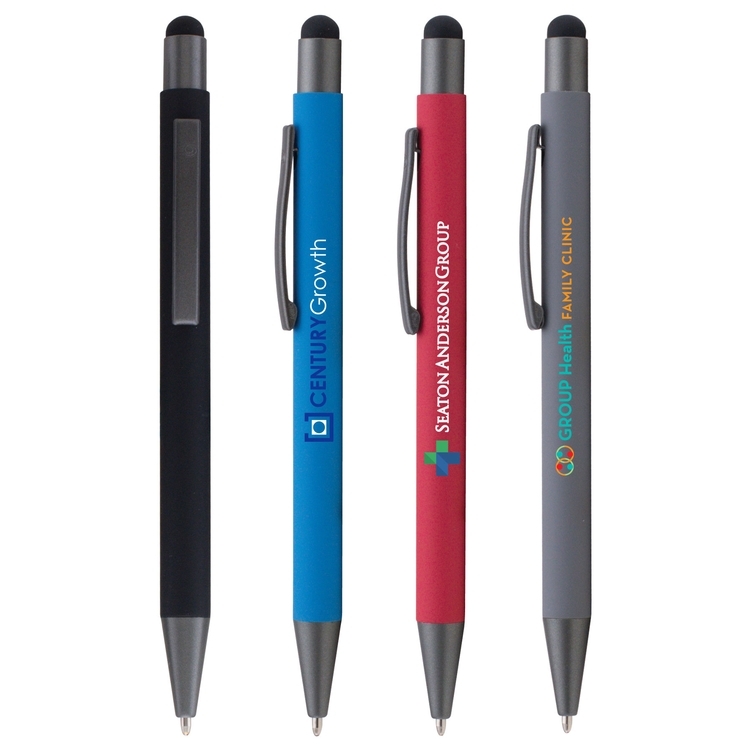 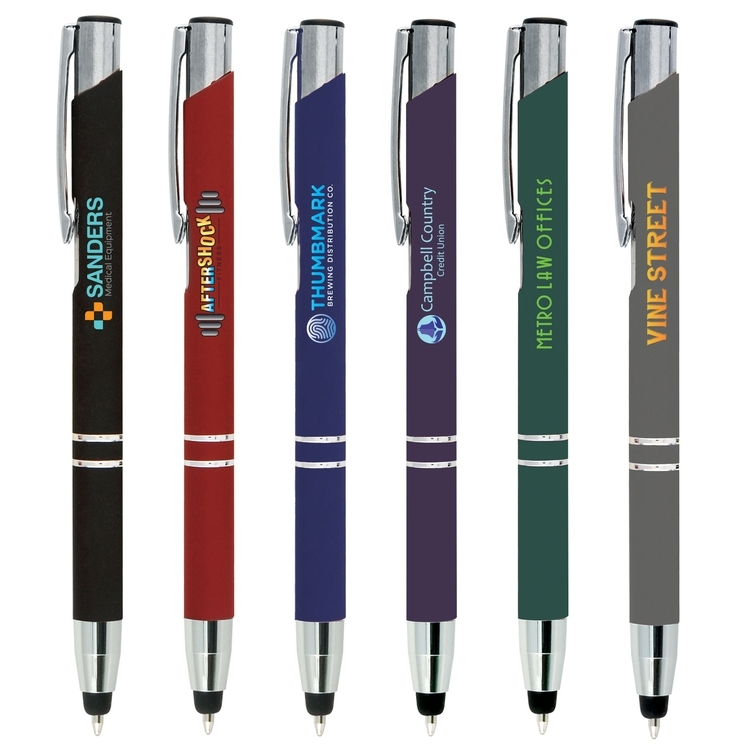 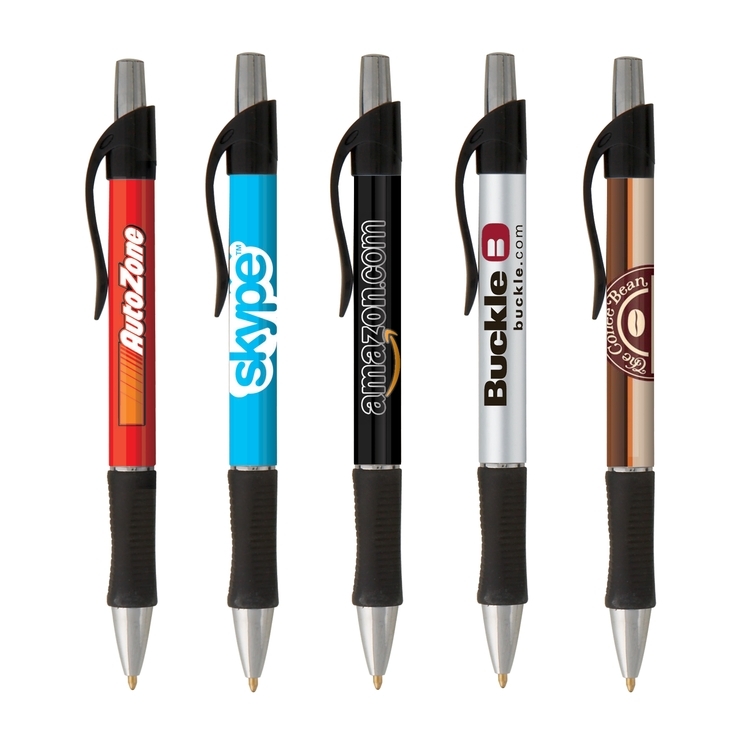 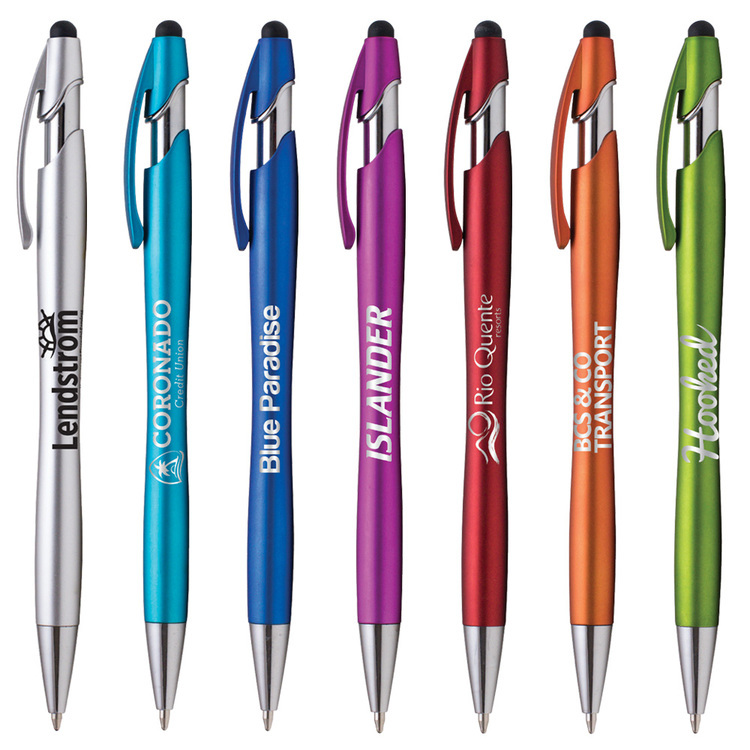 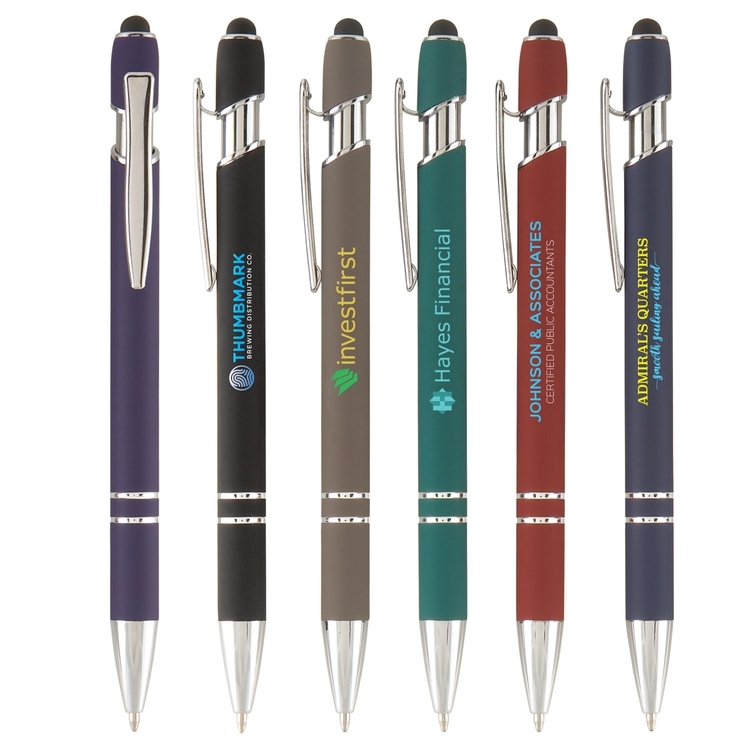 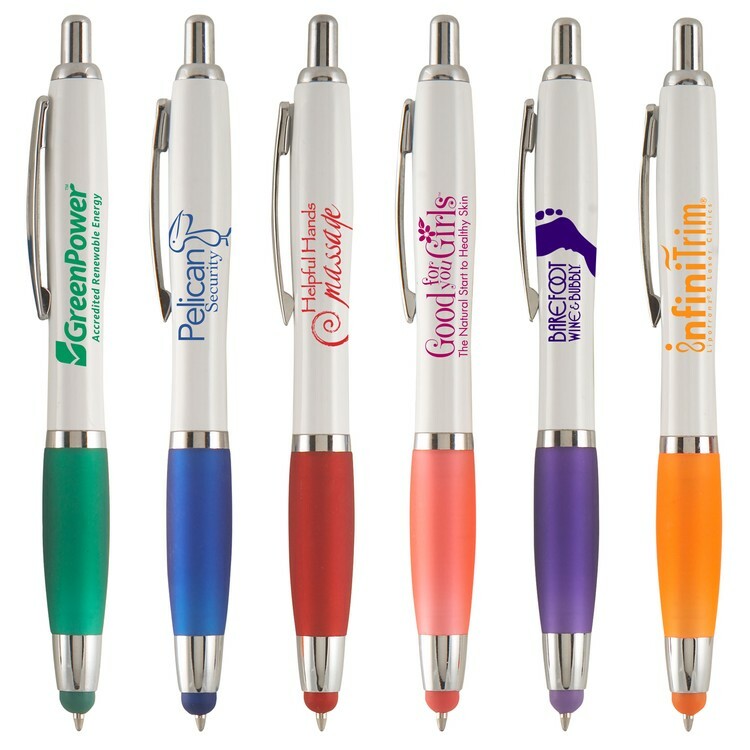 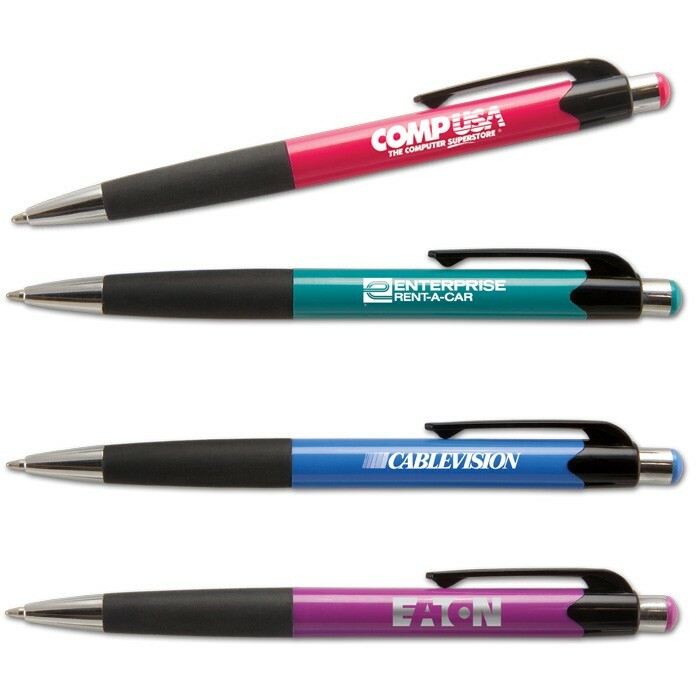 Provide an amazing presentation for new and loyal clients when your representatives meet with them using the Dazzler Pen. 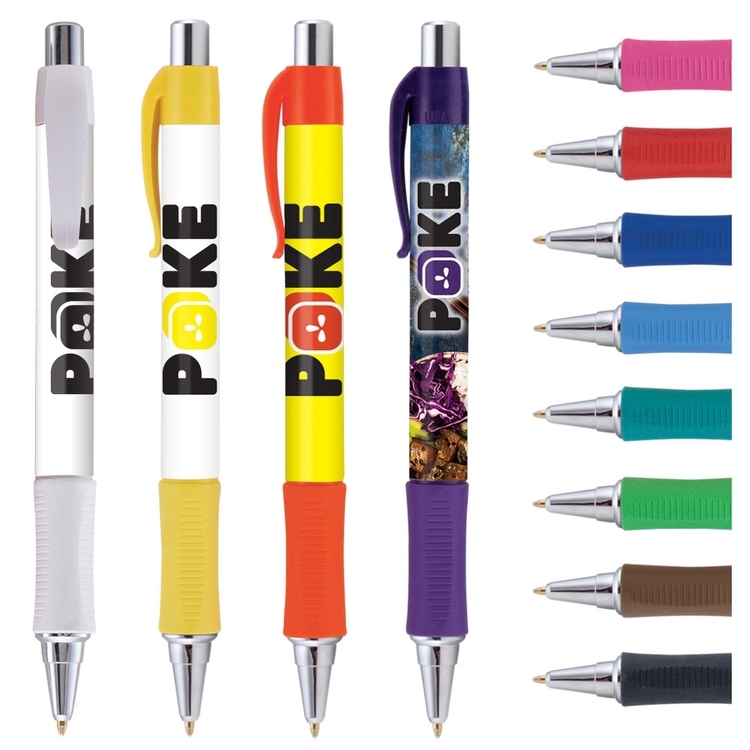 Not only will your talking points regarding your business be spectacular, but so will your marketing tool. 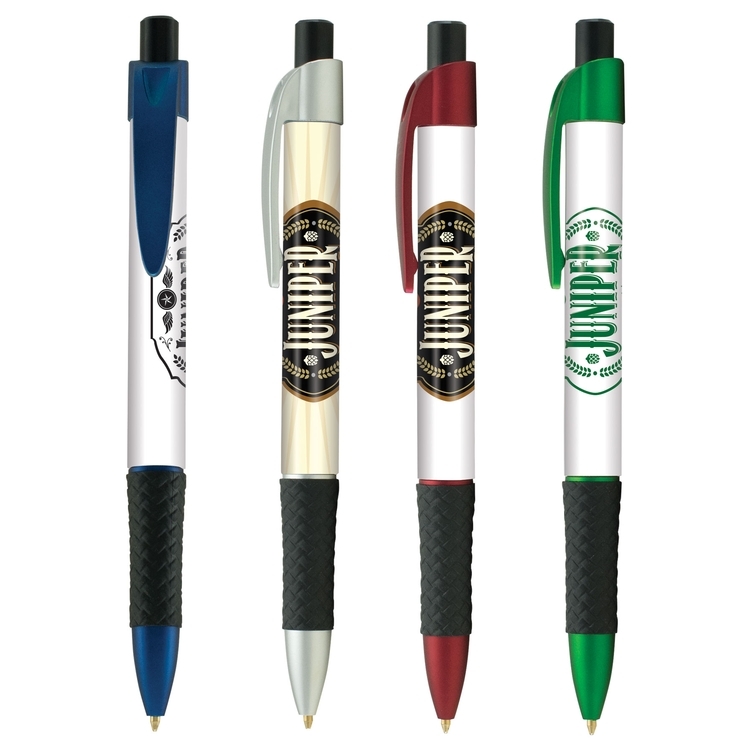 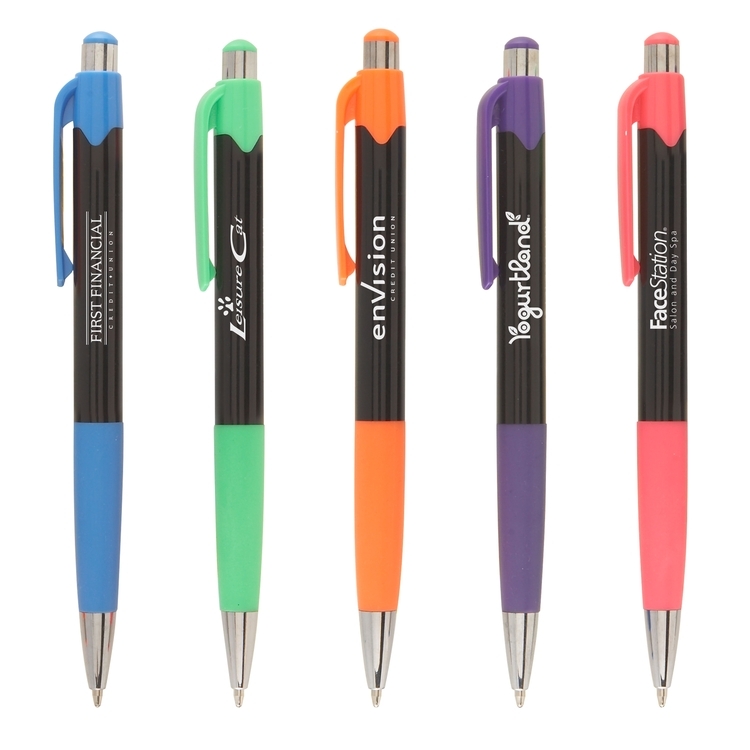 This medium ballpoint plastic pen features black ink, a grip section and plunger action. 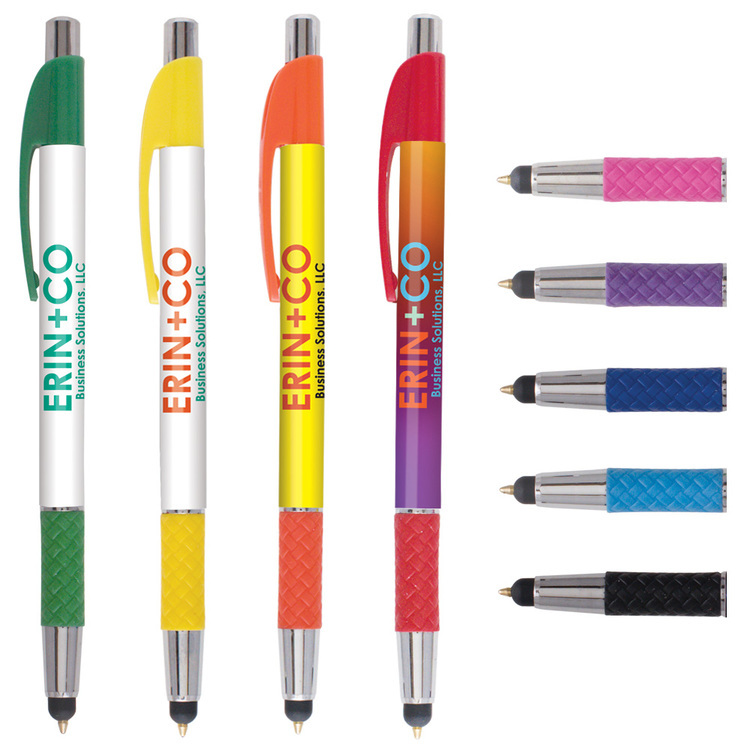 It's available in a variety of different product colors and can be ordered in an assortment as well. 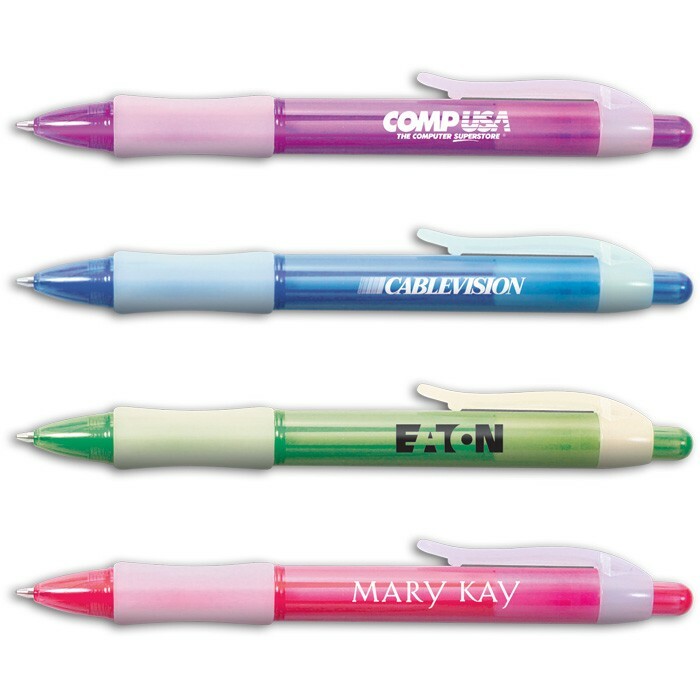 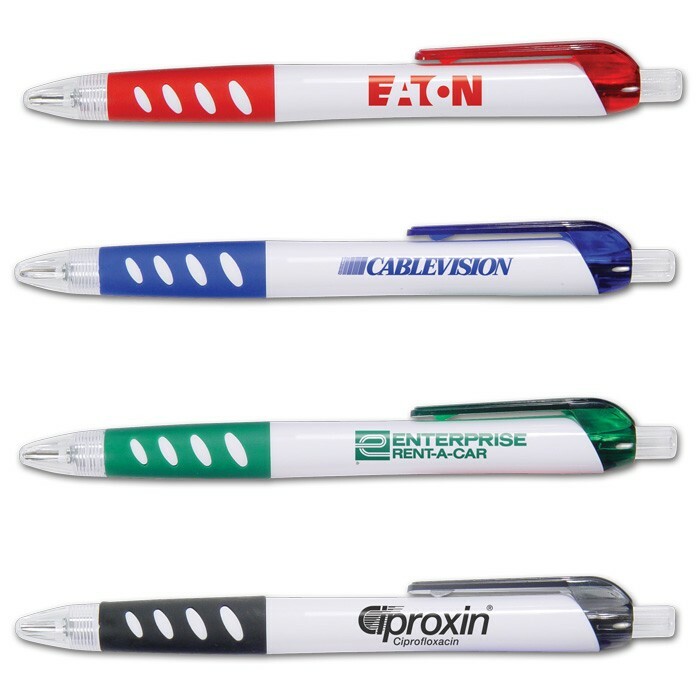 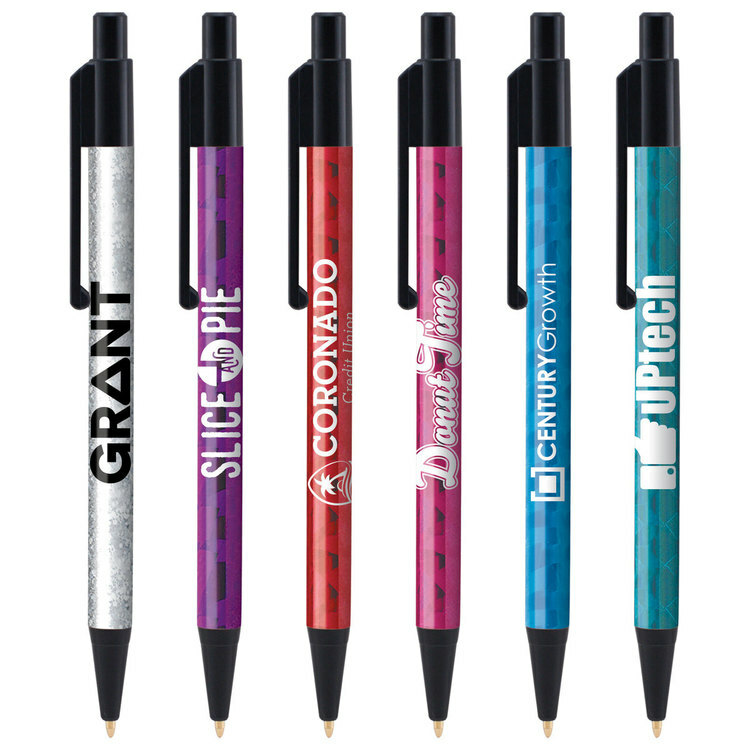 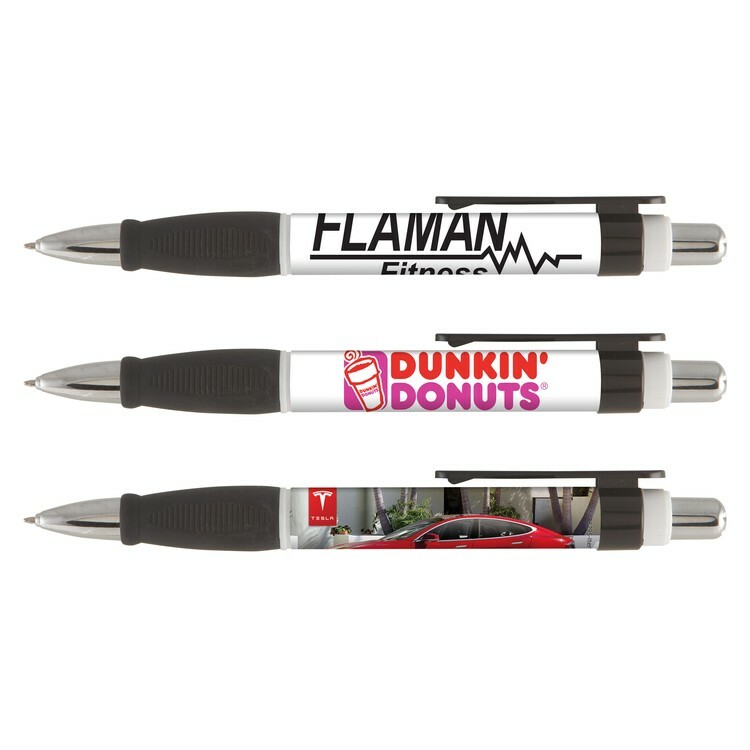 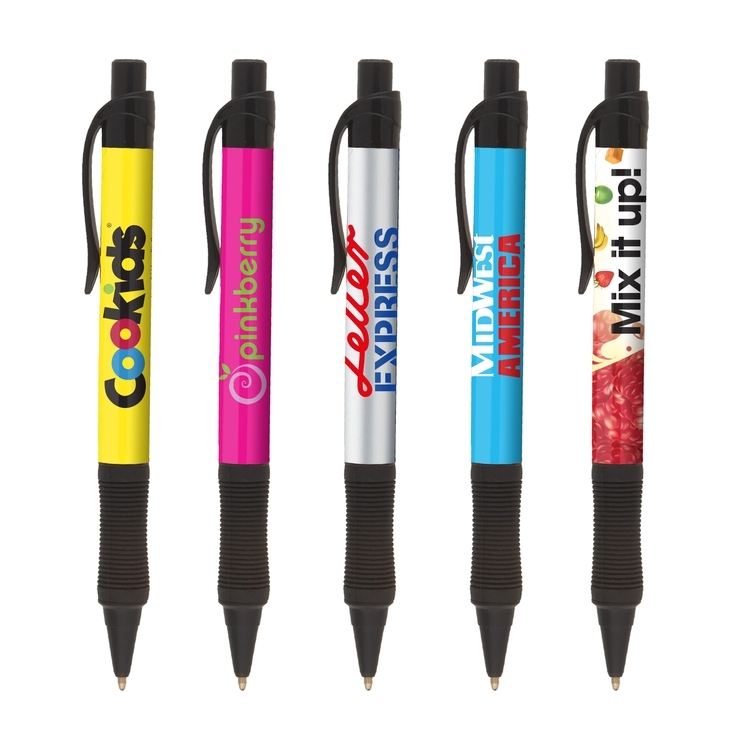 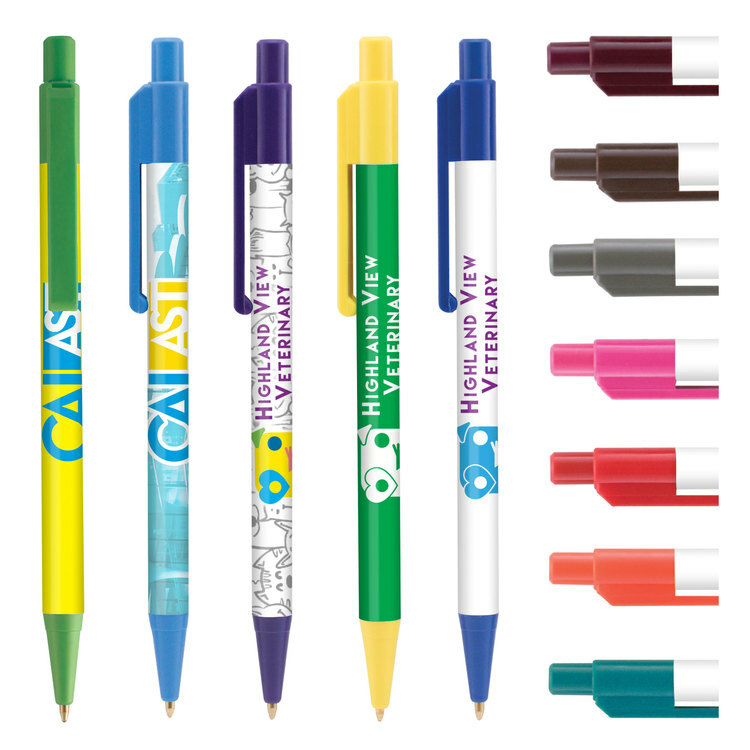 Add your customized imprint to create an advertising item that your company can be proud of! 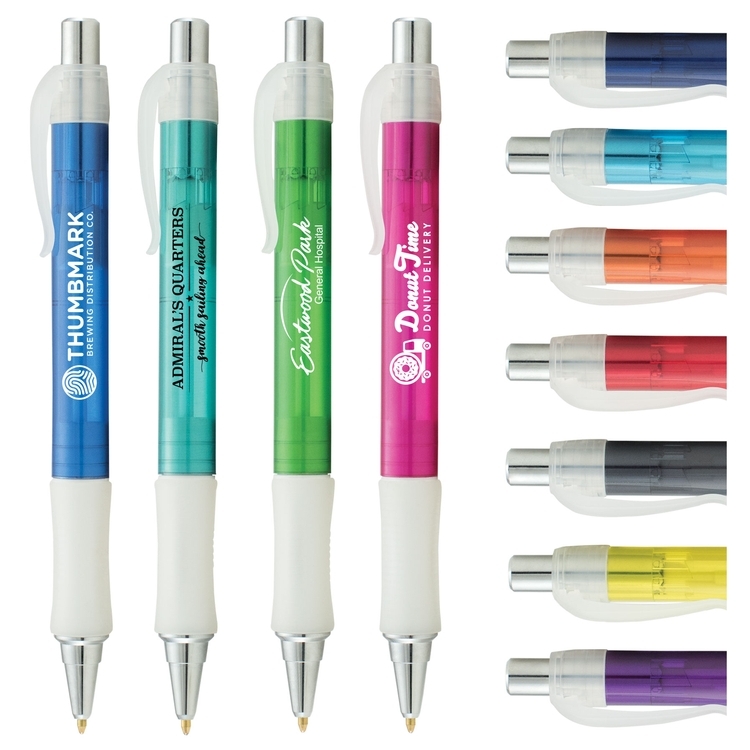 Setup	No Charge Production Time	72 Hours Imprint Area	1.63" x .8" Imprint Method	Silk Screen Shipping Point	San Diego, CA 92154 Imprint Color	White Weight	2 lbs/ 100 Ink / Point	Black Ink / Medium Ballpoint Product Size	Dimensions: 5.56"(L) x .48"(D) Circumference: 1.51"